Your eyelashes are an important part of your face, and it can be alarming if you notice them falling out. Eyelashes help our eyes look complete, and they also keep dirt and debris out. Losing large amount of eyelashes could mean lowered self-esteem and may put you at risk for eye infections. This article will cover some of the most common causes why this happens and what to do if they start falling out. Picking at your eyelashes can cause them to fall out. This condition is known as, trichotillomania. It is a disorder when people feel the need to pick at their hair. While eyelashes are pretty strong, if they are pulled hard enough they will fall out. Blepharitis can cause your eyelashes to fall out due to inflammation of your eyelid. Symptoms include redness, burning, and itchiness. It can be caused by things like infection, allergies, or exposure to certain irritants. One very rare cause of blepharitis is due to a demodex mite infestation. These mites invade the actual hair follicle on the eyelid, and one symptom of this infestation is your eyelashes falling out. The Meibomian gland secrete the oils that keep the eyelash area moist and healthy. If these glands become blocked and cease to work, the eyelashes become irritated and may fall out. When your thyroid hormones are too high or too low, you may experience hair loss. This can cause you to lose some eyelashes in the process. You may notice hair loss on your scalp, eyebrows thinning, or eyelash loss. It can also happen to people who take thyroid medication. Alopecia is an autoimmune condition where the immune system attacks the hair follicles anywhere on the body. It can affect the scalp, the face, the eyes, and any place that grows hair. Hair loss occurs quite suddenly and in patches. You may notice eyelashes falling out after trauma to the eye area. This can be things like burns, blunt injury to the eye, and abrasions to the eyelid. Why are my eyelashes falling out? We’ve already answered that. If you pulled out an eyelash or one came out due to trauma, a new one should replace the lost one within 10 weeks. 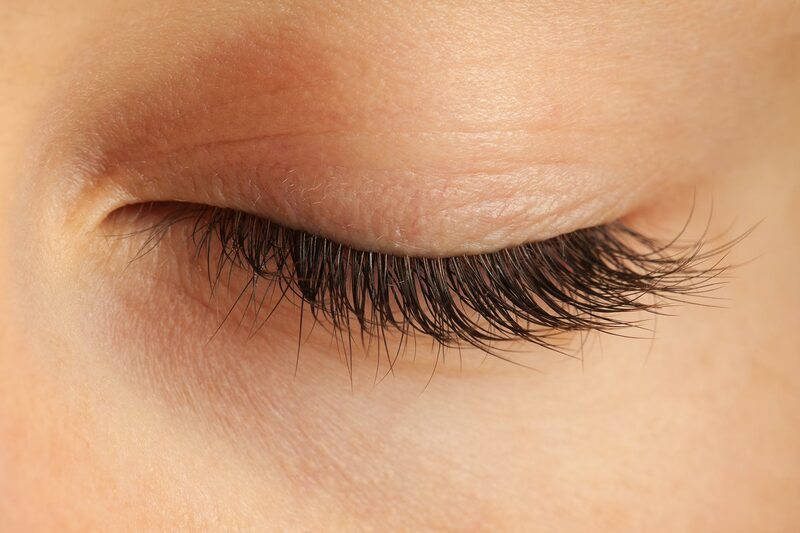 Eyelashes normally stay in place for up to 6 months before they shed on their own and a new one grows. In cases of alopecia, the eyelashes may not grow back without treatment for the condition. This is considered permanent hair loss. In cases of infection, eyelashes usually grow back after treatment. For meibomian gland dysfunction, eyelashes usually grow back or stop falling out with treatment. If the cause is thyroid disease, once the hormones are stabilized the hair usually grows back. Buy gentle and/or hypoallergenic makeup products. You may notice eyelash loss after starting a new cleanser or makeup. Try switching to something new and see if that helps. Applying oil to the eyelash area can help to moisturize and encourage regrowth. Safe oils for the eyes include; olive oil, castor oil, coconut or almond oil. Take a cotton ball or pad and dip in the oil. Apply a tiny dab just to the edge of the eyelid at bedtime. Make sure you rinse the oil off when you wake up in the morning. Try this daily for up to 3 months. Cucumber has a cooling effect on the eyes to help reduce inflammation. If your eyes are red and inflamed, you can try laying a cucumber slice over each eye for 20 minutes. This can also nourish and moisturize dry eyes. You can do this a few times each day if needed. If you have an eye infection, throw the cucumbers away and use fresh slices each time. Simple remedies like this will make you stop asking: why are my eyelashes falling out. The vitamins in lemon peel can help nourish and stimulate eyelash growth. Take a piece of lemon peel about the size of your eyes. Soak it in castor or olive oil for a few days in your fridge. Take them out and lay them over your eyes for 20 minutes a day. Make sure you rinse your eyes after this treatment. Your eyelashes falling out may be a nutritional issue. You need plenty of vitamin E to have healthy skin and hair. You can use a dab of vitamin E oil on your eyes at bedtime to nourish and encourage eyelash growth. Rinse off when you wake up. Also, make sure you get enough vitamin E foods in your diet. These include sunflower seeds, spinach, and tree nuts.